SLC Group Holdings is proud to announce a strategic seed investment in up-and-coming social commerce start-up BuyItLive. The BuyItLive technology completely reimagines the social commerce customer journey and checkout flow, resulting in massive increases in social engagement and significant improvement in sales conversions. Customers interact, shop & donate through live video, pre-recorded video and social posts across Facebook, Youtube and Instagram with additional social experiences in development. 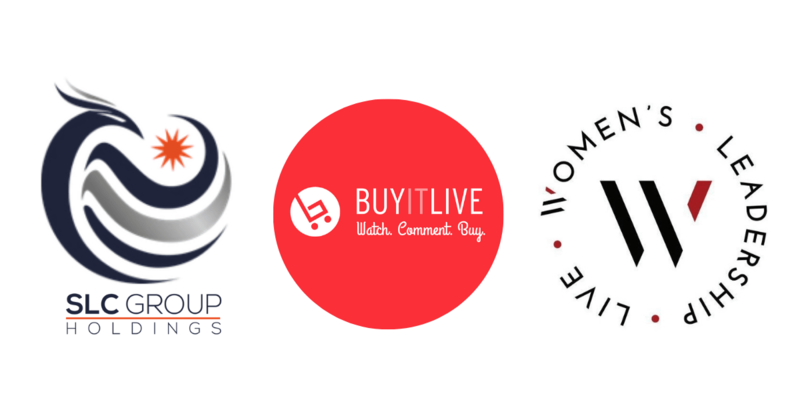 The transaction is part of a larger comprehensive deal, between three visionary organizations - BuyItLive, Women’s Leadership LIVE (WLL) and SLC Holdings. The three groups are aligning their offerings to give small and medium size businesses the edge they seek in a world of ecommerce titans. About SLC Group Holdings: Twenty-five years ago, SLC Group Holdings founder & CEO Sandy Cleary left her career as an aerospace engineer to follow her passion and start a cruise travel agency in her mother’s basement. She grew that business into one of the largest sellers of cruises in North America with more than $135 million in annual cruise volume. About BuyItLive, Inc: BuyItLive is built around a patent pending platform technology specifically tailored for selling on live video. It creates a competitive live shopping queue, that tracks interactions and carts for a live sale. Buyers can add items to their carts in the background with comments, or they can enter our proprietary live shopping party. The team is building a robust social commerce offering and suite of services to augment and build on the core technology. BuyItLive’s founding team has a rich history of building the best viral marketing campaigns in the history of e-commerce. They have built a revolutionary tool that encourages brands to connect with their followers by allowing them an interactive shopping experience without removing them from social engagement. About Women’s Leadership Live: Women’s Leadership LIVE’s mission is to reflect and amplify the voices of career and entrepreneurial women. The founders of Women’s Leadership LIVE, Linda McMahon, Stacey Schieffelin and Debbie Saviano have each built their own successful companies. They represent business success at the multi-million and billion dollar levels in the product, service, entertainment and media industries. At the heart of Women’s Leadership LIVE is the commitment to providing our members with a DIFFERENT experience, whether you are attending one of our conferences, listening to one of our dynamic webinars or putting into practice the knowledge you have gained. Women’s Leadership LIVE can equip you with tools to realize your unique purpose and potential.